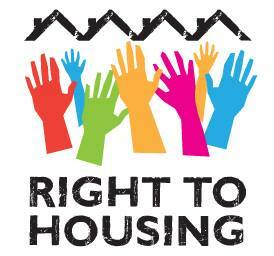 human rights – We need a national housing strategy now! (Toronto) Today, the Ontario Superior Court of Justice ruled that homeless and inadequately housed Ontarians should be denied a chance to have their landmark legal challenge heard. Joined by housing advocates from the Centre for Equality Rights in Accommodation (CERA), the individuals filed the case in 2010, seeking a Court order requiring Federal and Provincial governments to implement a national housing strategy. They argued that Canada and Ontario have violated their rights under section 7 and section 15 of the Canadian Charter of Rights and Freedoms by creating and maintaining conditions that lead to and sustain homelessness. In May of this year, the governments of Canada and Ontario argued that the case should be struck down before any evidence was heard. Several interveners, including Amnesty International, underscored the importance of allowing the challenge to move forward. Today’s decision accepted government arguments that “it is plain and obvious that the Application cannot succeed” and dismissed the case. “The decision reflects a narrow view of the Charter that seems to be applied when the poor seek judicial relief,” said Peter Rosenthal, lawyer for the applicants. In his decision, Justice Lederer said that courts in Canada have no role in reviewing critical human rights issues such as “the basis on which people may be evicted from where they live and the treatment of those with psycho-social and intellectual disabilities”. Housing a Human Right: Why is Canada Still Violating this Basic Human Right? There are between 150,000 people homeless in Canada, according to the Canadian Senate report on poverty. The Canadian Mortgage and Housing Corporation identifies 1.5 million households in ‘core housing need’ in Canada. A recent report by Stephen Gaetz of the Canadian Homelessness Research Network explains how it will cost us less money to end homelessness than to maintain it. On May 4, 2012 members of the House of Commons from all parties voted to support a motion which recognized that Canada has obligations to fulfill the right to housing. Canada is a signatory to the International Convenant on Economic, Social and Cultural Rights, which guarantees the right to adequate housing.